These letters were written by Sergeant Charles (“Charlie”) Darwin Carpenter (1839-1925), the son of David Cooley Carpenter (1805-1886) and Sarah Cleveland (1809-Aft1880). Charlie’s father was a stone cutter turned farmer in Berkshire Township, Delaware County, Ohio. He wrote the letter to his sister, Martha J. Carpenter (1837-18xx). Martha married Charles Pierson in McLean County, Illinois on 10 February 1869. They resided in Decatur, Illinois. Charlie served in Co. D, 20th Ohio Infantry. At the time the first letter was written, the 20th Ohio manned part of the Union siege line surrounding Vicksburg, Mississippi. 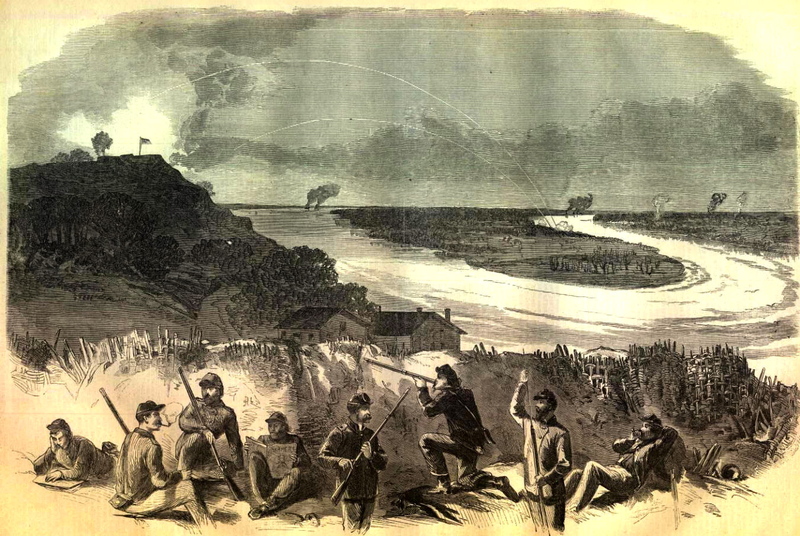 Before General Pemberton surrendered, the 20th Ohio was withdrawn from the lines to march with General Blair’s reconnoissance up the Yazoo River to Patastia, and then formed part of General Sherman’s army of observation guarding against General Johnston’s approach from Jackson to relieve Pemberton. Charlie was mustered out of the service on 28 September 1864 after three years of service. After the war it appears that Charlie took up farming near Bloomington, McLean County, Illinois and married Hanna Maria Cravath (1846-Aft1920) on 3 July 1872. Maria was the daughter of Myrtillus and Polly Cravath of Pittsfield, Michigan; later Bloomington, Illinois. The couple eventually relocated to Fort Scott, Bourbon County, Kansas, where Charlie became a nurseryman. His last residence (1910) before retirement was in Parsons, Kansas, where he worked as a teamster for a dairy. He is enumerated in the 1920 Census residing in the household of his son, Ernest Fay Carpenter (1873-1852) in Center Township, Vernon County, Missouri. Ernest was married to Agnes D. Estes (1873-1953). Pension records suggest that Charlie died in 1925. I wrote a letter a day or two ago but having a chance to send word directly home I thought I must write a line or two. Norton T. Longwell ¹ of Eden has got a furlough. He belongs to our company. Has been Col’s ² orderly ever since we have been in the service. Is a good little fellow too. I believe he gets to go home on account of his father’s illness. My health is good. The only thing we can complain of is it is very hot here. We are lying in sight of the rebel forts. It’s of no use for me to try to tell you anything for you can see it all in the papers. If you don’t take Harpers Weekly, get one occasionally. He has an artist here. He draws some faithful sketches. I have seen some of them in the paper. We have been drawing new clothes. Feel somewhat better. Tell Father I would like to have him get me another pair of boots. The boys are nearly all going to send and they can all come in one box. Nort says he will bring them through for us. I want a pair of light kid-lined all through, with heavy soles. Get them made where he did before, if possible. My boots are not worn out yet but will be by time I get another pair. Nort Longwell is going in a few hours so I can’t write much. I have so much to do that I can’t write much at a time anyhow. Write often. Love to all. Good bye. The other boots were just the right size. P.S. Mat, please send a towel or two. Can’t get any good ones here. Mat. Please send me a few postage stamps if you can as well as not. 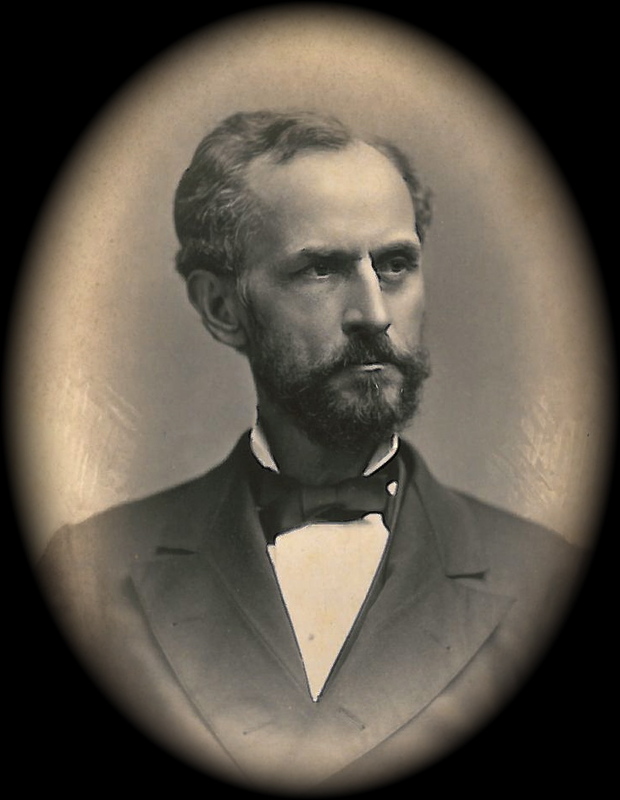 ¹ Norton Thurston Longwell (1842-1930) was the son of Ralph S. and Elizabeth (Thurston) Longwell — early residents of Berkshire, Ohio. Norton T. was the tenth of a family of thirteen children. One who was a surgeon in the army with the rank of Major, and died at Camp Chase. 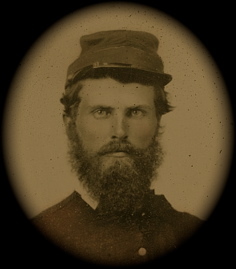 Norton enlisted in Co. D, 20th O. V. I., and served three years; he was Orderly on the Colonel’s staff throughout the war. After the war, “Nort” return home to a farm of 164 acres situated north of Eden. In 1867 he married Ella E. Hyde (b. 1848), the daughter of Udney and Olive (Hunter) Hyde. Zeph[ania Cook] returned yesterday and I received such a good long letter from you & Scott that I am tickled to death most. Had been looking for a letter several days but I was just as glad when it came. The things came through all right. We had the cake for supper [and] sausage for breakfast. All decided that the cake was very nice indeed. Sausage and butter too. We all know how to appreciate such things now, I do believe. The cook is going to boil the cabbage for dinner. I know that Zeph had a good time. Have been talking to him most all time since he got back. He is the only one that ever went home and back that could tell me anything that I wanted to hear. He is well posted, I think. Says the best music he ever heard was at our house. Mat & Cor. got Mrs. Kenniston through safe, I believe. Haven’t seen her yet. I am enjoying the best health so you see your dream hasn’t come to pass yet. I dream about home almost every night. It’s always something good though. Never mind it’s only eight or nine months more. Then, if we all live, we will have some good times yet. Don’t suppose I would know any of the young ladies in Galena now. Could get acquainted I guess. have to learn to dance now as you are all dancers. Zeph says you are the best dancer there was at the party. Galena must be coming out, sure enough. There is quite an excitement here about enlisting [as] Veterans. Not one of Co. D will go — not but what we are just as patriotic as ever. But we are bound to see some of those cursed Copperheads drafted first. Another thing is they are giving new recruits just as much for enlisting as for old soldiers. Now that won’t work with us. If after serving “Uncle Sam” almost three years and suffering what we have we are not worth anymore than a “raw recruit,” why we are worth just enough to serve our time and then go home and let them draft. That’s the way to raise an army now anyhow. They hadn’t ought to allow another man to volunteer. Get soldiers by a draft every time I say. Then a Copperhead is as like to go as a Union man. I do hope that Congress will annul that $300 Exemption Act the first thing they do. I want to see the rich and poor shoulder the musket together. No man should have a chance to show his cowardice by paying over three hundred dollars (although some of them would it be worth half as much as their money). I believe the latter are a great deal more patriotic than the men. Perhaps I am mistaken but think not. What an awful thing it was to let John [Hunt] Morgan escape. ¹ Don’t believe there was a bit of need of it. Should suppose that Union men would begin to open their eyes by this time and not be duped by Northern traitors any longer. But it is dinner time and my sheet is full so I’ll quit and commence on another one. Give my love to Hattie & Mattie Allen for me. Mat, I don’t want my pictures to be scattered around the country if it can be helped (around Galena, I mean). When the artist gets through printing for you, tell him to stop. ¹ Confederate cavalry raider John Hunt Morgan escaped from the Ohio State Penitentiary at Columbus, Ohio, on 27 November 1863.